Voix De L'Orient Series is not a real series. 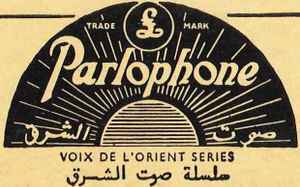 It is the exact same entity as Voix De L'Orient, - a Lebanese label founded in the mid 1950s. In partnership with Parlophone from 1957 and then EMI from the mid 1970s. Independent label again from late 1980s.